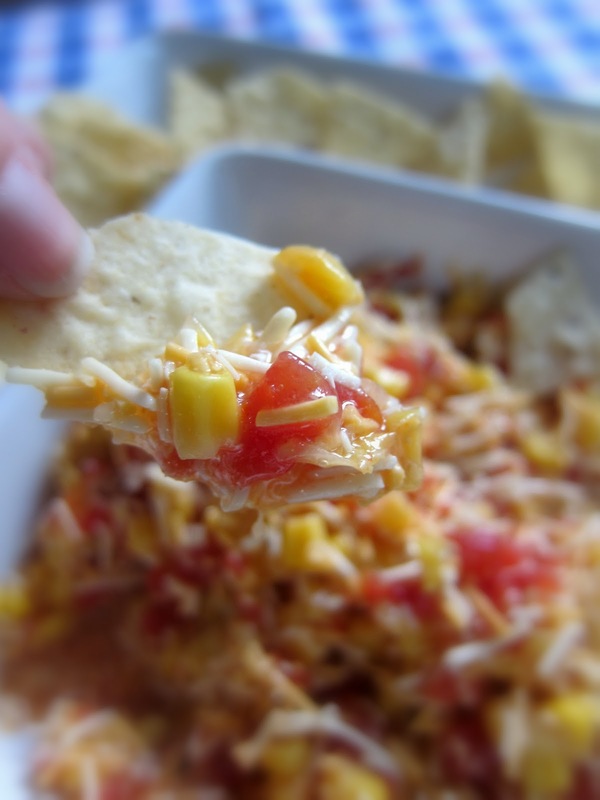 This is one of Chicken Legs' most requested tailgating dips. We had this at a tailgate party several years ago, and we both loved it. I never could track down the recipe, so I finally recreated it myself. The original recipe had black olives it in. We are not black olive fans, so we left those out. Feel free to customize this to your own tastes. I think this would also be good with some fresh chopped onion and green pepper mixed in. I always make this the day before we want to serve it and let it marinate overnight in the refrigerator. This is one of those dips that gets better the longer it sits. Serve the dip with your favorite chips; we prefer tortilla chips or scoops. Combine all ingredients in medium bowl. Refrigerate 2 hours up to overnight. Serve with tortilla chips or Fritos. ahh, now that has left my tastebuds dancing all over the place...great blog! Nigglet crack corn, and i don't care. Yep, I'll be making that tonight for football watching/pumpkin carving tomorrow! Had to take a break from Football Friday this week to do my Recipe ReDux post... but I'll be back joining in next week! It's Redneck Caviar!!! Love this stuff! I add black-eyed peas when I make it. I´ve wanting to make this for a while - well I did this weekend and everyone loved it. Delish!